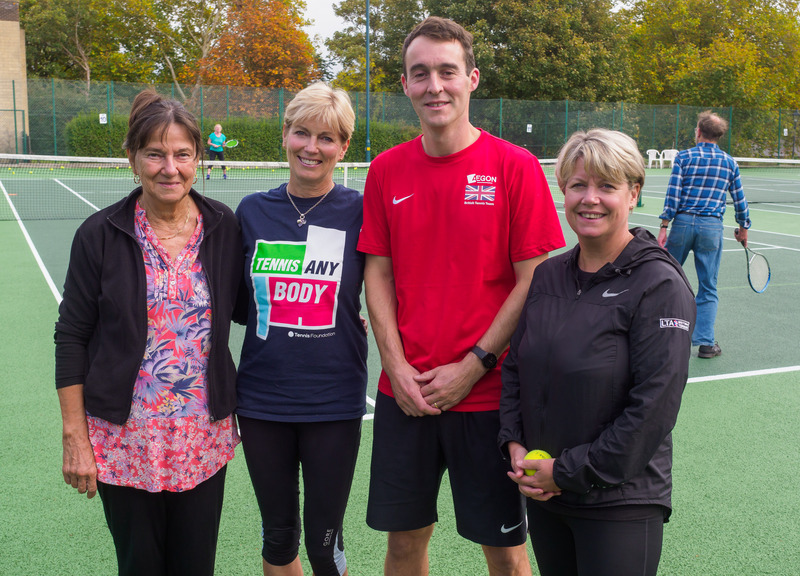 Bristol’s tennis community marked World Mental Health Day on Tuesday 10 October with a celebration of the city’s initiatives successfully using tennis as a way to help mental health sufferers improve their quality of life through activity and social interaction. 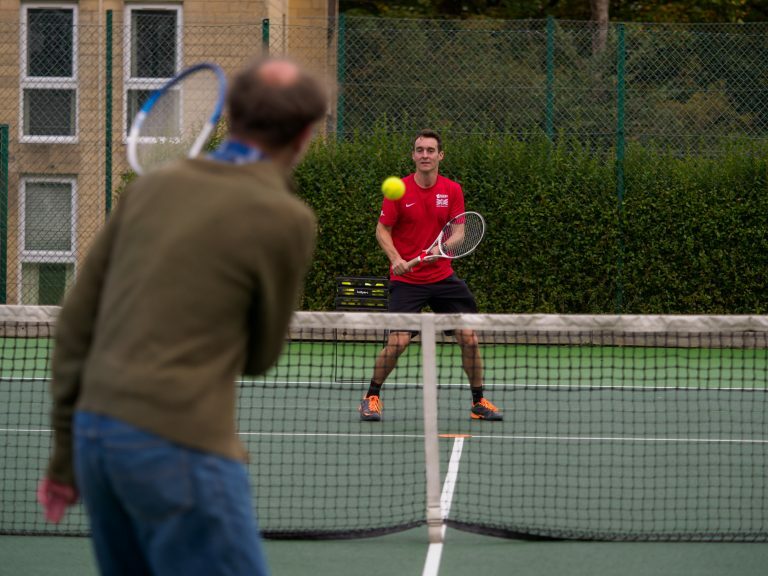 Thanks to a partnership between the LTA, local clubs, Avon and Wiltshire NHS Mental Health Trust, the Tennis Foundation and the Bristol Active Life Project, Bristolians struggling with mental health problems have access to a network of groups that aim to address associated issues around social isolation and low activity levels. At Redland Green Club, the sessions are run by coach Toby Huddlestone and supported by Rachel Smith. Toby has seen real changes take place in the participants, who are referred to join the sessions by the city-wide partnership. 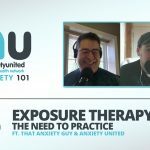 “A lot of the guys that come to the sessions tell me it’s what gets them out of bed on a Tuesday morning and that it enlivens their whole day,” Toby revealed. Many existing programmes struggle to continue running through the winter months due to a lack of indoor facilities and floodlit courts. 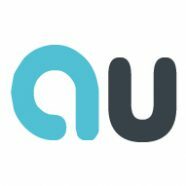 Investment into improving facilities is key to sustaining the programmes and increasing provision, especially during winter when social isolation and the negative effects of mental health problems can be most difficult. Redland Green Club is hoping to benefit from the LTA’s unprecedented £125 million investment into grassroots tennis, Transforming British Tennis Together, with plans to improve current facilities and enable potential expansion of programmes such as this. The sessions are tailored to the specific needs of the participants and their recovery programmes each week, with social interaction, activity and conversation some key elements of the weekly groups. The LTA has previously supported mental health initiatives through tennis with the appointment of Mental Health Ambassadors Naomi Cavaday and Oli Jones, who last year spoke out about their own struggles with depression and bipolar disorder respectively. To mark this year’s World Mental Health Day (Tuesday 10 October), the LTA has released a video in which Oli and Naomi talk about what they get out of tennis and how the sport – and opening up about their struggles – has benefitted their own mental wellbeing. Julie Jones, Regional Tennis Participation Manager for the South West at the Lawn Tennis Association, said: “We are very proud of the partnerships across Bristol that have enabled these programmes to thrive and they are great examples of how working together to make tennis accessible can deliver huge benefits to people’s mental wellbeing.